I hit ‘rock bottom’ eight years ago, after I realised I had to leave a dysfunctional relationship and survive as a single mum. 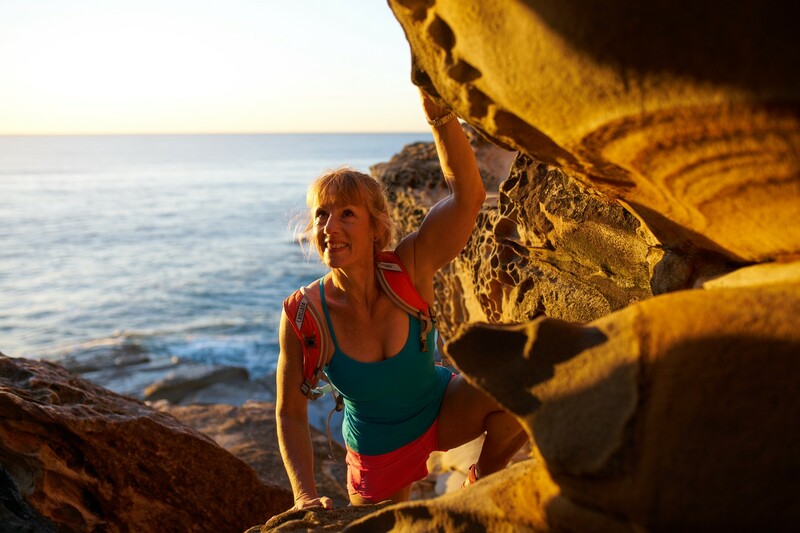 Di Westaway, My mission is to share adventure boldly. I love inspiring women to transform their lives, face their fears, live their dreams and achieve their goals. Life had never been tougher, lonelier or more challenging. Supporting three children working long hours on a subsistence wage in my new hobby-turned-business was not what I had envisaged as I approached my fiftieth birthday. But I was driven to push on because I had discovered my life’s purpose and felt compelled to follow it. I had discovered that shared adventures in nature create not just happiness but Natural Exhilaration. And I was determined to help other women experience this joy. Today, life couldn’t be more different. The year began with a six-week ski adventure with my tall teen, working remotely between the ski slopes and Netflix in bed. And I’ve got a string of adventures to look forward to, including a charity challenge with my adult son, a rock climbing adventure with friends, a trekking adventure with clients, a wild weekend with my daughter and the ongoing adventure of running a social enterprise in a fast-changing world. In moments of doubt, I pinch myself and wonder how it all happened. But it’s not a miracle that has created this thrilling lifestyle. It’s an adventurous spirit. Millions of adventure seekers around the world use this spirit to lead lives they love, collecting adventures instead of stuff. This time last year, Suzie, a working mother of two, was obese and miserable. Today, she’s a trim, fit powerhouse of health and vitality who’s a hero at home. She lost 50kg and trekked to Machu Picchu, fulfilling a bucket list dream and rediscovering her life. Not only do shared adventures in nature motivate us to become our fittest selves but the lessons they teach give us the resilience and strength to manage the stresses and strains of city life as well as tapping into our natural pleasure motivators. Psychologist, Dr Gordon Livingstone, cites three keys to happiness: Something to do (a plan), someone to love (friends) and something to look forward to (purpose). So, if you want a life you love, you need these three things. A challenging hike with friends can be the catalyst to launch you out of bed to get fit, even in the rain. You’ll throw off the doona, lace up your runners, grab your coffee and get outside, doing tough stuff. This neuroscience proven combination of purpose, people and plan makes motivation easier, not just to get you moving, but to achieve anything in life that’s challenging. But when you do it in nature, you’re super-powered. This goes back to our cavewoman days when we were motivated to move wildly in search of food and safety. But today 85% of us are too busy, too tired, too full, too fat or too frantic to move and exercise is too hard, sweaty, painful, boring and expensive. We’re no longer motivated to move at all. But adventure can help get us off the couch and into nature so that we can lead an adventurous life we love. Adventure energises you. It recharges and rejuvenates. It puts a spring in your step, pink in your cheeks and a sparkle in your eyes. Some doctors call it Lifestyle Medicine. We call it natural exhilaration. For more stories and tips get your copy of Natural Exhiliration by Di westaway. Why I’m crossing Asia with no plastics, no planes, and two kids!